There is something about this entry hall that I’m drawn to–perhaps the wooden beams or the archway or the openness or the calming blue wall color. Lovely. Don’t you just want to get some nice cotton socks on and run as fast as you can and then slide down the hall? Now that’s fun. 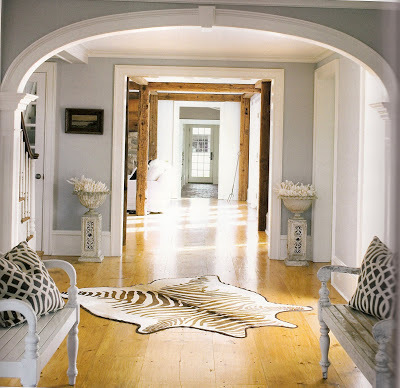 The post Dramatic Entry Hall appeared first on Darling Darleen | A Lifestyle Design Blog .